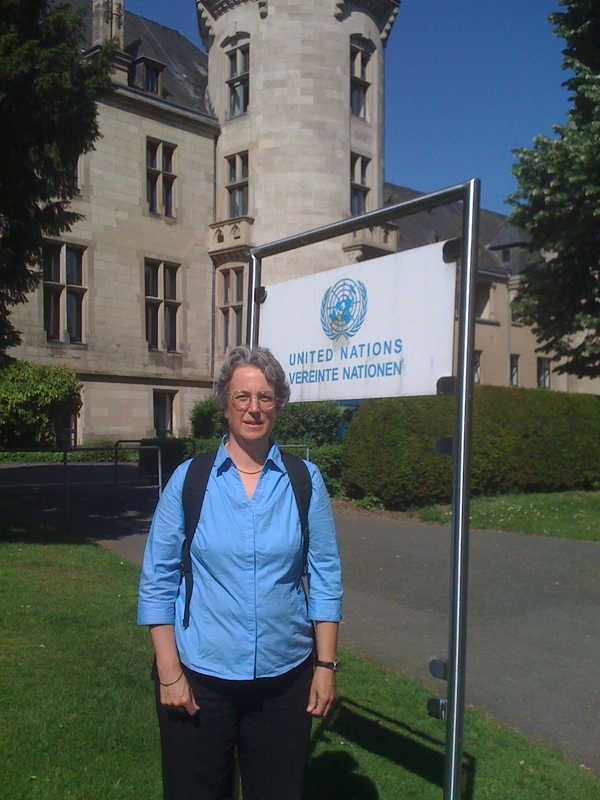 A few quick thoughts and reactions as I prepare to leave Bonn tomorrow after a few days working with a group of scientists assessing the ’emissions gap’ and after spending some time at the site of the negotiations. Most uplifting: a side event today by the Energy Research Centre of the Netherlands on Low Emissions Development Strategies, featuring speakers from Indonesia, Ghana, and South Korea, each sharing about low carbon development planning in their countries, with many others actively involved in the process in the audience as well. The speaker from South Korea, Mr. Oh, several times went beyond technology (though there was plenty of good thinking about policy, investment and technology) to talk about the ‘human side’. His slides even included such goals as “changing peoples’ behavior and how they think!”After a lot of pessimism (see below) it was great to be reminded that around the world, people and governments are getting to work on transforming energy systems. Most challenging: recognizing the complexity involved in calculating the ’emissions gap’ between current pledges to the UNFCCC and goals like limiting temperature increase to 1.5-2°C. Differing data-sets, differing interpretations, differing assumptions, differing models. The scientific exercise convened by UNEP and the European Climate Foundation — see posts on earlier posts here and here — is proving very valuable and I’m more and more sure the end result – a report in advance of COP-16 – will be quite important, but the process of preparing the report is a reminder of the many uncertainties and complexities of the climate and and of energy systems. This experiment we are performing on our atmosphere is in real danger of running ahead of the our capacity to analyze and understand what we are doing. After a lot of effort trying to understand just how close we are to the edge of the cliff, the only conclusion that is clearest in my mind as I pack up my suitcase is that stepping back from the edge any time now would be a really great idea. Biggest lost opportunity: Conversation in the hallways of the climate talks seems to come round invariably to the failure of the U.S. Senate to pass climate legislation. Already low hopes for Cancun seem to have fallen even lower as a result. Perversely our global interconnection is made even more starkly clear. The domestic challenges of the U.S. administration now ripple throughout the world, closing options that might otherwise have opened. Most admiration: for the many many civil society representatives, from scientists to young activists and indigenous people to policy wonks who come back month after month year after year with the hope that one day we may agree to the kind of “mutual coercion, mutually agreed upon” (to draw a phrase from Garrett Hardin’s “Tragedy of the Commons”) sufficient to ensure equitable development for all on a planet with a stable climate.